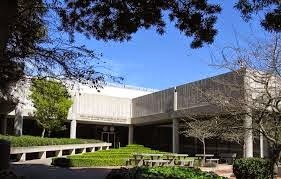 Last January, through my genealogical society, Livermore-Amador Genealogical Society, I organized a trip to the San Bruno National Archives for four of us. Although I contacted them early, due to budget cuts, they no longer do tours and had limited help for us that day. Rather, they sent plenty of information for us to do our own homework and order what we needed before our trip. The Archives opened at 7:30 a.m. on the chosen day, but, as we come from the East Bay, we decided to leave much later and arrived around 10 AM. While we all looked through the catalog before our trip, only two of our group located items in the online catalog and called ahead to have it ready. Because they'd called ahead with the information, when we arrived, their items were waiting for them in the secure room. They hit jackpots, while my non-lucky partner and I learned that all we really had to do that day was use Ancestry, Heritage Quest, and Fold3 on the public access computers. There isn't much available if you don't have special catalog items. The two who were lucky were able to use the special secure room and make copies of the immigration files they found. When they were done, we left for lunch and decided there was no need to return after. There is a mall with a restaurant (BJs) right down the street. We ate there, discussed our finds (and non-finds) and then drove back to our side of the Bay. While I wasn’t successful in my trip to the Archives this time, I do know that the Archives in St. Louis has a treasure trove for me. So the tools I learned for this trip will help me in my someday trip to St. Louis. The San Bruno National Archives has a self-service microfilm-to-paper copy machine at $.60 per page. 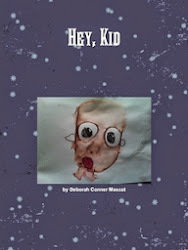 The paper-to-paper copies are $.25 per page. Payment can be made by cash, check or credit card after you complete your project. There is a two-hour limit when people are waiting. Records generated by Federal courts and agency field offices in California (Northern and Central), Nevada, Hawaii, American Samoa, Guam, former Trust Territory of Pacific Islands (Marchall, Caroline and No. Mariana). Records of U.S. Navy bases on foreign territory in the Pacific and Far East. Take BART. It was fine to drive, but we did have a bit of traffic. Have a plan, including calling ahead to make sure that they had something I needed. Have another place to visit. I don't think it required all day, so a visit to Sutro on the same trip would have made it a full, productive day. Unless it's St. Louis, as I know I'd have enough to spend a full (few) day(s) there. 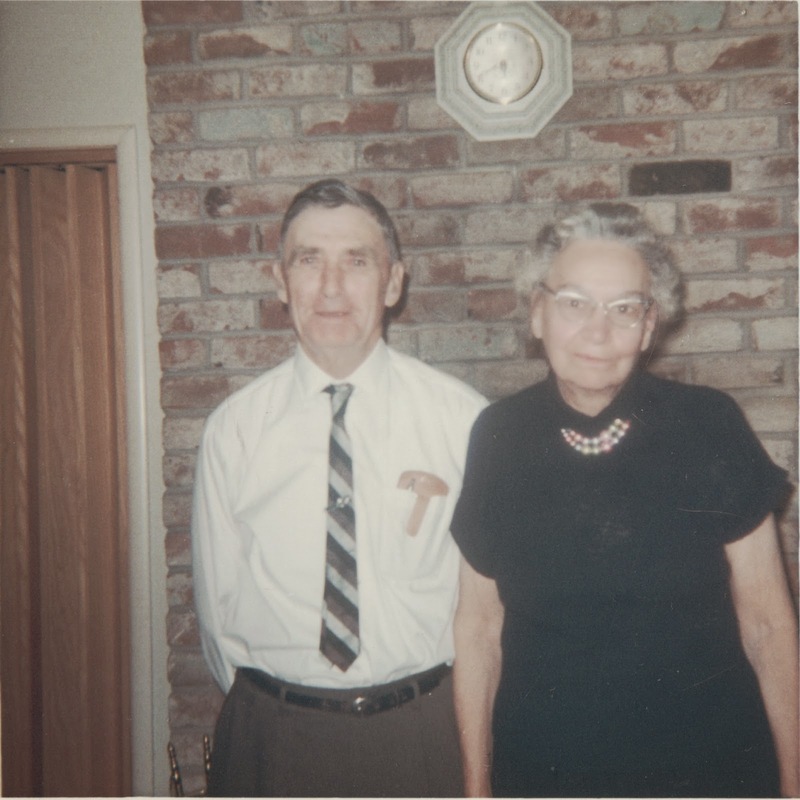 Randy Seaver of Genea-Musings posted this week’s Saturday Night Genealogy Fun. Usually I don’t get to play along because of the 804 things that we do on Saturday’s but today I’ve been procrastinging doing genealogy research (because I don’t seem to remember how) but doing things like updating my iPad and iPhone, Feedly blogs, etc. I saw this come through and decided to jump in, since these are my favorite pictures. 1) Dana Leeds on the Enthusiastic Genealogist blog asks "Did/Do Your Children Know Any of Their Great-Grandparents?" 2) I thought that would be a great Saturday Night Genealogy Fun question - so please share your response with us in a blog post of your own, in a comment on this blog post, or in a Facebook or Google+ post. 3) For extra credit, or in case the answer is "No," then please answer the question for yourself, or your parents. Signa and William both still have a great grandparent alive and both know and love him. My grandfather, the title star of my previous book, The Duke of Mixager, is alive and well. I’m sad to say that none of my other grandparents were alive to meet my children, though. Pierre Conner (my grandfather), Orville "Tom" Conner (my great grandfather), William Mason Conner (my 2nd great grandfather, Harry Conner (my dad), and me. 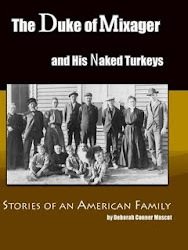 If you visit my usual home page (www.mascotmanor.org), you will get to my main site, which now actually leads somewhere! All my blogs and information are drilled off of that. This has helped me so much, as I didn’t have a ground before. I had my family webpage and my genealogy one and then wanted to do a homeschool one, as well. But it was disjointed and made me not want to do any of it. 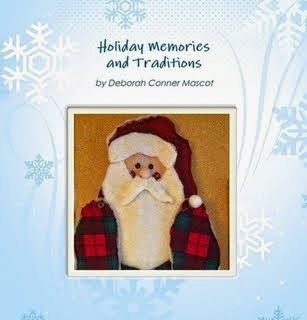 So now you can visit www.mascotmanor.org and get to my family blog (mascotmanor.blogspot.com), my genealogy blog (mmgenealogy.blogspot.com), and to my homeschool blog (mmhomeschool.blogspot.com). In doing this, I’ve also changed the structure of the sidebars and other items. I think it’s much nicer and easier to work with. And easier to write on, as well! So expect some posts. I Was on Best of... ! I'm so thrilled and honored! 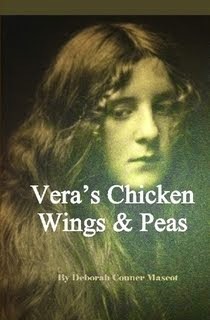 Randy Seaver of Genea-Musings named my blog post about Serendipity and Dad and Vera's Chicken Wings and Peas in the Best Of last week! Seriously! Me! Mentioned by a famous person! I did a little dance.